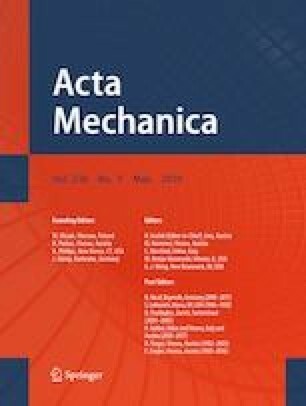 To increase the computational precision of the finite element method (FEM) for multi-field coupling problems, we proposed a coupling magneto-electro-elastic (MEE) cell-based smoothed radial point interpolation method (CM-CS-RPIM) with the coupling MEE Wilson-\(\theta \) scheme for MEE structures. Generalized approximation field functions were established by using the linearly independent and consistent RPIM shape functions. The basic equations of CM-CS-RPIM were deduced by applying G space theory and the weakened weak formulation to the MEE multi-physics coupling field. Meanwhile, the coupling MEE Wilson-\(\theta \) scheme was proposed. Several numerical examples were modeled, and the behavior of MEE structures was studied under static and dynamic loads. The CM-CS-RPIM outperformed FEM with higher accuracy, convergence, and stability in static and dynamic analysis of MEE structures, even if the meshes were distorted extremely. And it worked well with simplex meshes (triangles or tetrahedrons) that can be automatically generated for complex structures. Therefore, the effectiveness and potential of CM-CS-RPIM were demonstrated for the design of smart devices, such as MEE sensors and energy harvesters. This work was supported by the National Natural Science Foundation of China (Grant No. 11502092); Jilin Provincial Science Foundation for Youths (Grant No. 20160520064JH); Foundation Sciences Jilin Provincial (Grant No. 20170101043JC); Educational Commission of Jilin Province of China (Grant Nos. JJKH20180084KJ and JJKH20190131KJ); Graduate Innovation Fund of Jilin University (Grant No. 101832018C184); Fundamental Research Funds for the Central Universities. LZ and BX contributed to the research concept and design. BN and SR contributed to the writing the article. RL and XL contributed to collection of data. BX contributed to the research concept, design and data analysis.